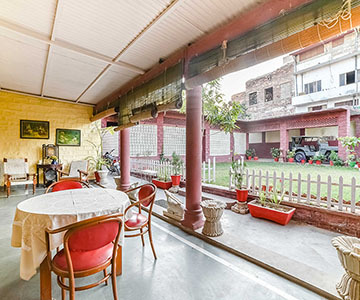 A home away from home, Jagat Vilas is a heritage home stay in blue city Jodhpur, Rajasthan. 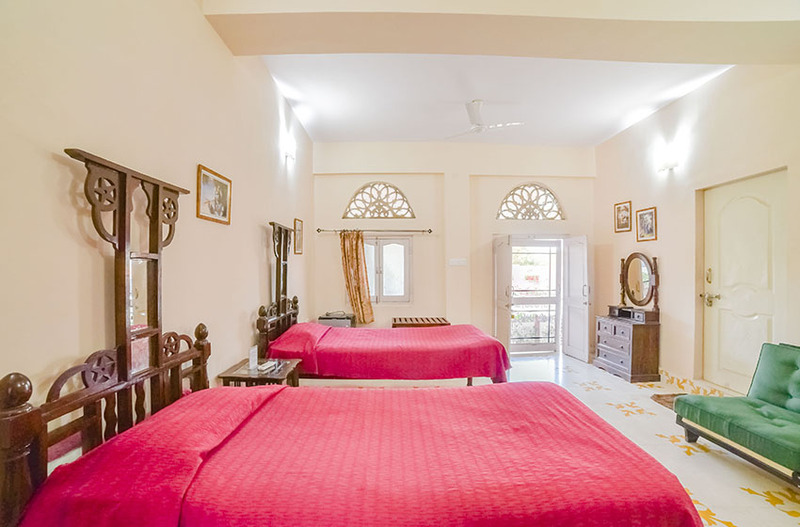 Run by a traditional family who values love and relationships, we assure once you experience a simple life offered by us you’ll come back yearning for more. 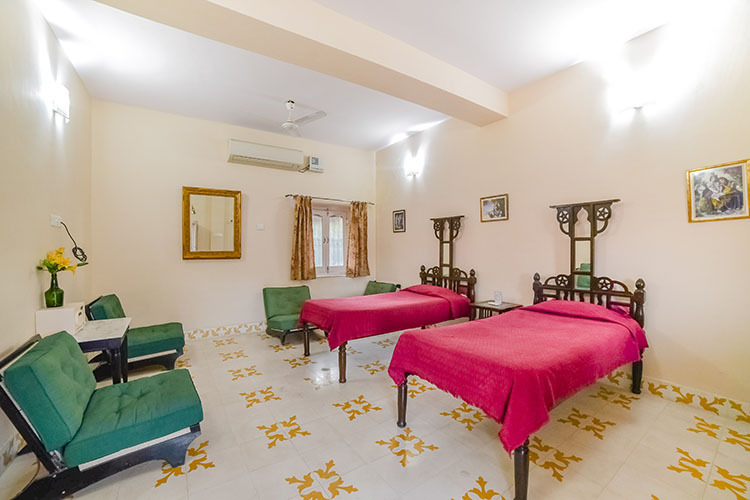 Equipped with modern facilities for a comfortable stay, Jagat Vilas also provides an interactive atmosphere for its travellers. 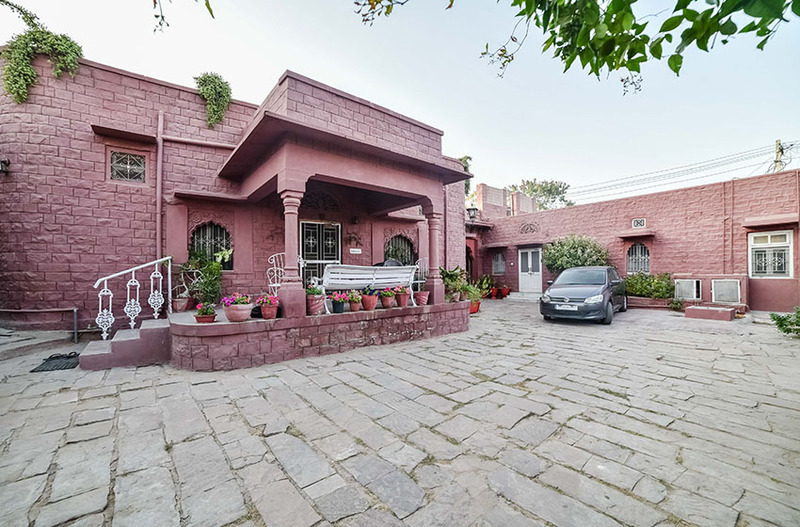 The family ensures your stay at "Jagat vilas" to be the highlight of your visit to Jodhpur. 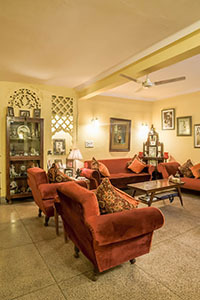 The home stay was once part of the "Rai Ka Bagh Palace" residence to the erstwhile Royal family and served as the head quarters for the Royal Guards. 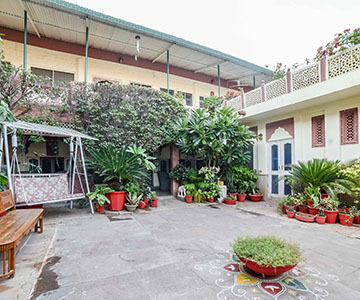 The residence was bought in 1980 with the intension to keep the heritage and history alive and is successfully running as Jagat Vilas since 2009. 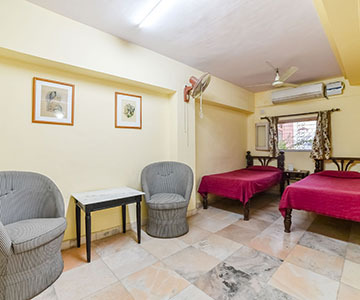 With a convenient location and close proximity to the majestic Umaid Bhavan Palace and renowned antique and handicrafts market Jagat Vilas has always been a favorable place to stay from travellers across India and the world. 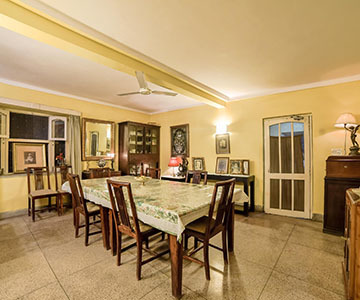 We are always open for travellers seeking true experience of living with a close knit Indian family and relish on authentic home cooked meals along with a little history. 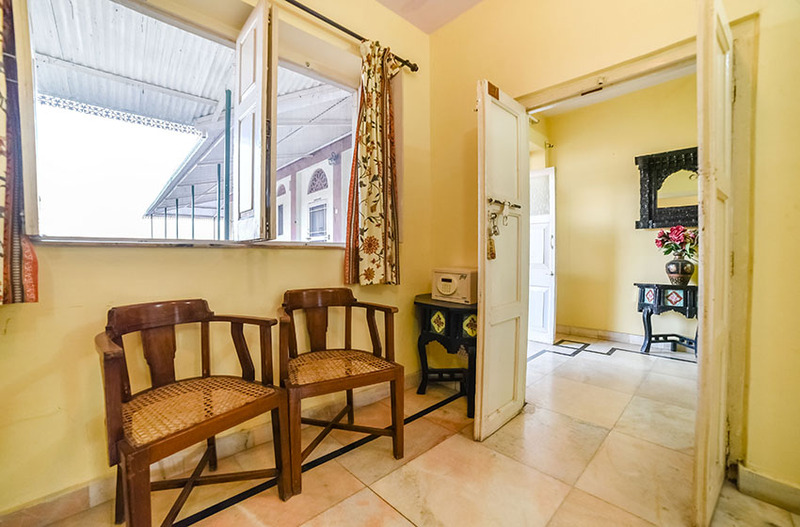 We assure you that once you leave, you will not only leave with a memorable experience but also a lasting relationship with the city and its people . 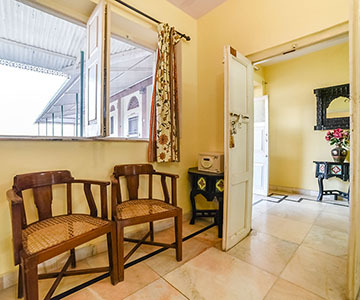 Unwind, rejuvenate and lead a television free life at Jagat Vilas homestay. 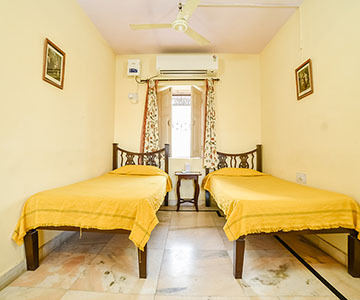 We have elegant guest rooms and without any room categories since all our guest equal and special. 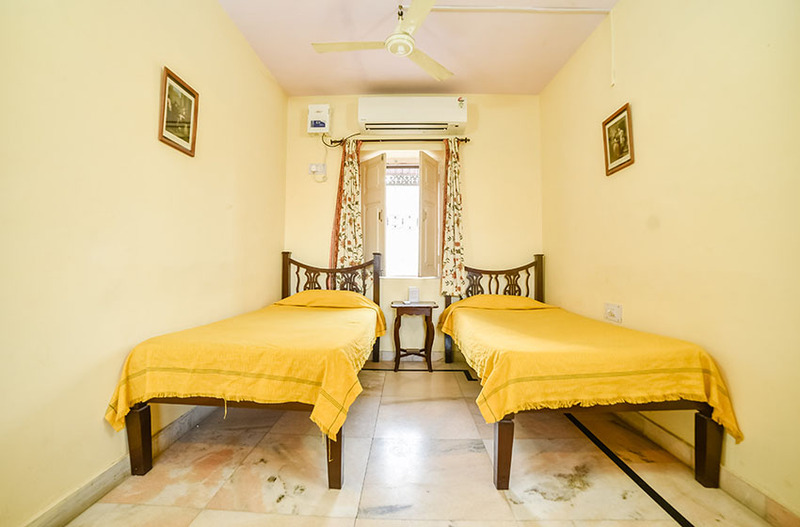 Our rooms offer basic amenities such as air-conditioners, mini fridge, safety lockers and have attached bathrooms with water heaters. 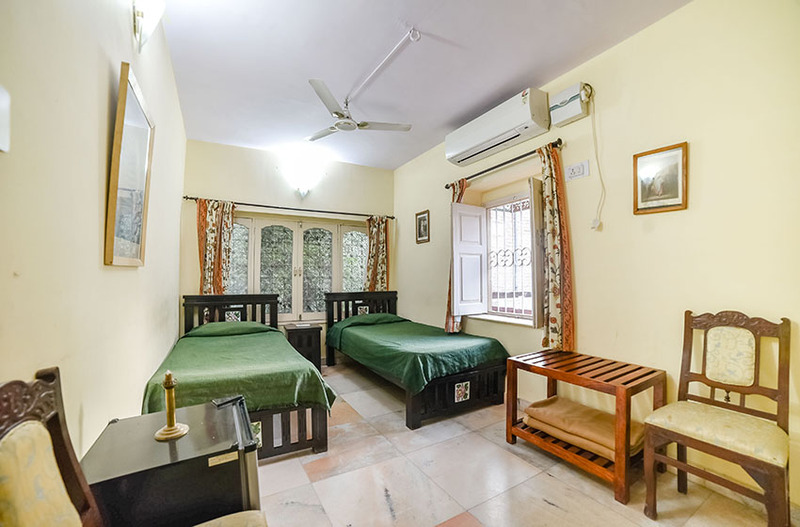 We have purposely restrained from offering room service and in room wifi (available in public area) to inculcate interaction between the family and the guests thus adhering to real essence of a home stay. 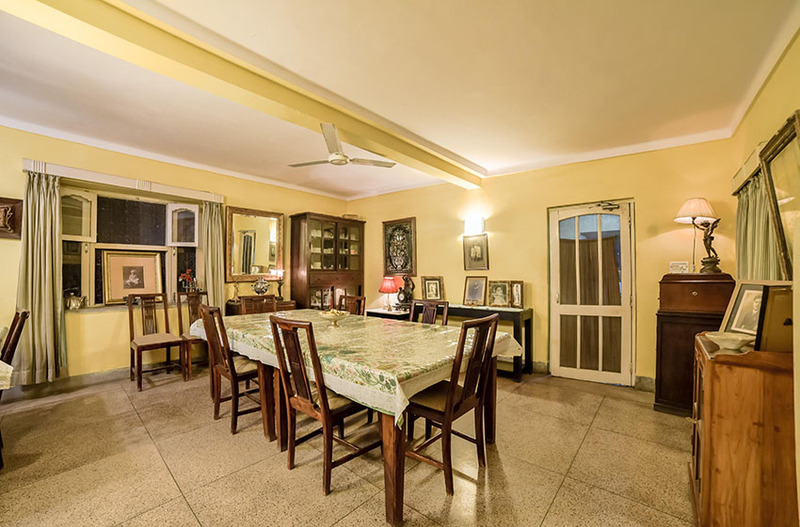 In our one story guesthouse we also have a family dining room where the guest can enjoy delicious home cooked meals and a family drawing room for having a great conversation over a drink. 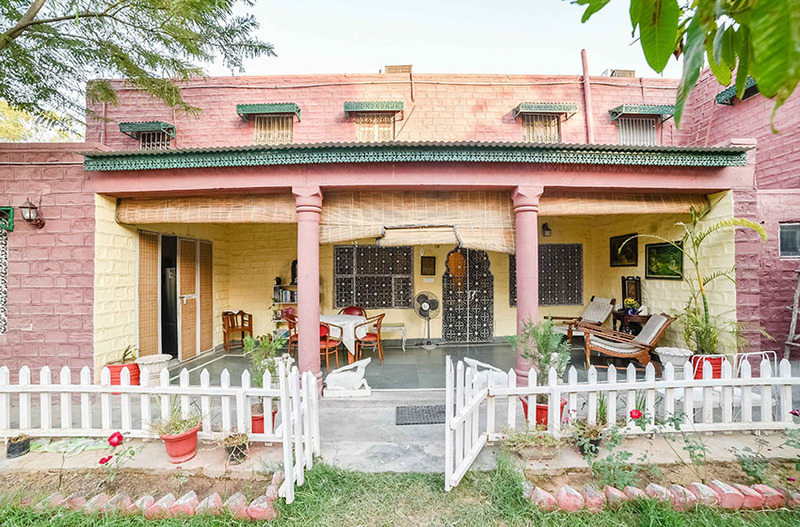 If that’s not enough, just sip a coffee/tea amidst colorful bougainvillea filled courtyard and enjoy the winter sun looking at the priceless view of Umaid Bhavan Palace and Mehrangarh Fort or simply soak yourself in the city that holds the tales of the bygone era. If You cancel/amend your Hotel booking from 7 to 15 days of checkin, Cancellation charges will be 50%. 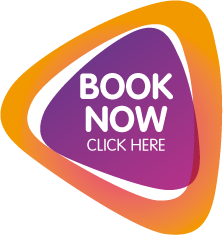 If You cancel your Hotel booking on and before 15 days of checkin, Cancellation charges will be FREE Cancellation. 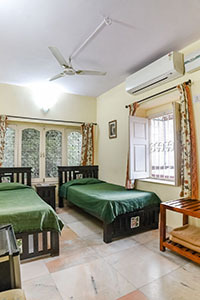 Extra bed aged above 5 years to 12 years chargeable @25% of package rate. 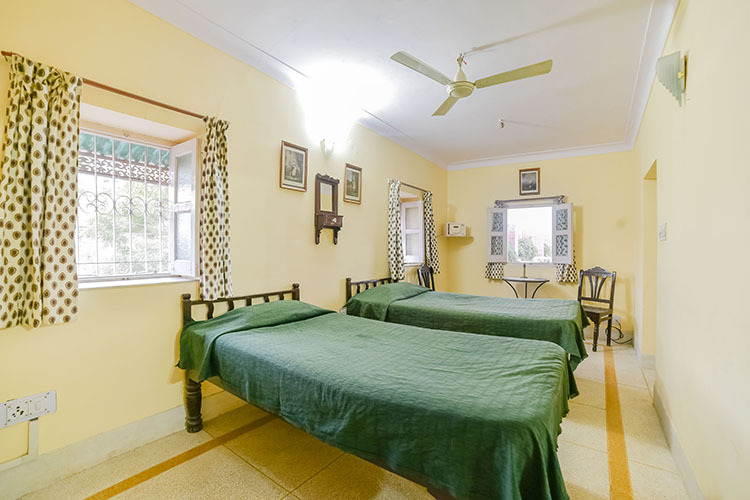 Extra bed aged above 12 years chargeable @35% of package rate. Our Check-In 11:00 am and Check-Out time 12:00 Noon. 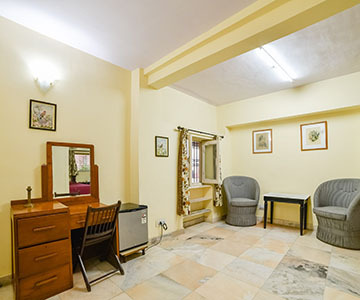 Released non guaranteed reservation will be accommodated subject to the availability of rooms. 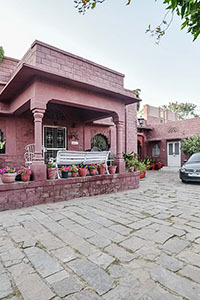 Jagat Vilas welcomes you to a unique experience in the heart of old Jodhpur offering modern comfort and traditional Rajasthani hospitality with an old world charm. Jagat Vilas is centrally located in Raikabagh, the heart of the handicraft district of Jodhpur and walking distance to Umaid Bhawan Palace, a major tourist destination of Jodhpur. 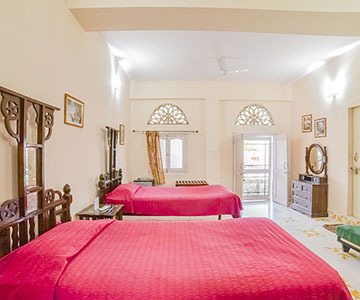 The guest house also offers breathtaking panoramic views including that of Umaid Bhawan Palace and Mehrangarh Fort. 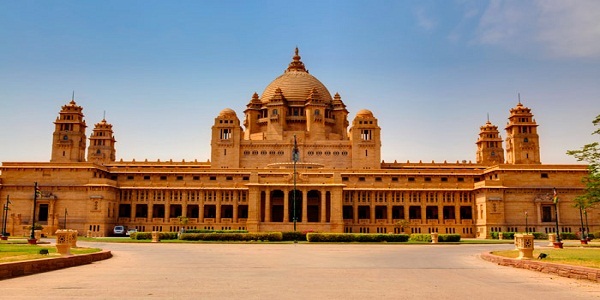 Famous for its magnificent forts and palaces, Jodhpur is the second largest city of Rajasthan and a major tourist attraction in the country. Where many buildings are painted the city’s iconic shade of blue. 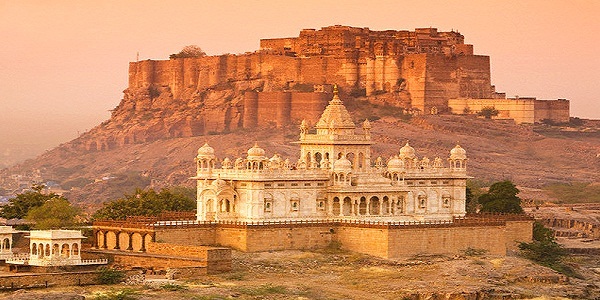 Mehrangarh Fort holds the pride of place in Jodhpur because of its splendid architecture and the diverse history associated with it. 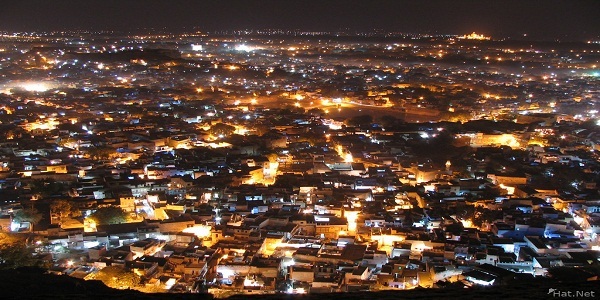 Considered as one of the most formidable and magnificent forts of Rajasthan. 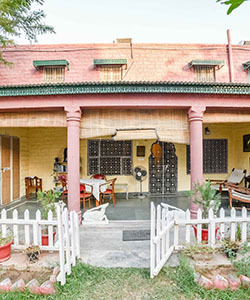 The palace was built with a purpose to employ the farmers of Jodhpur. 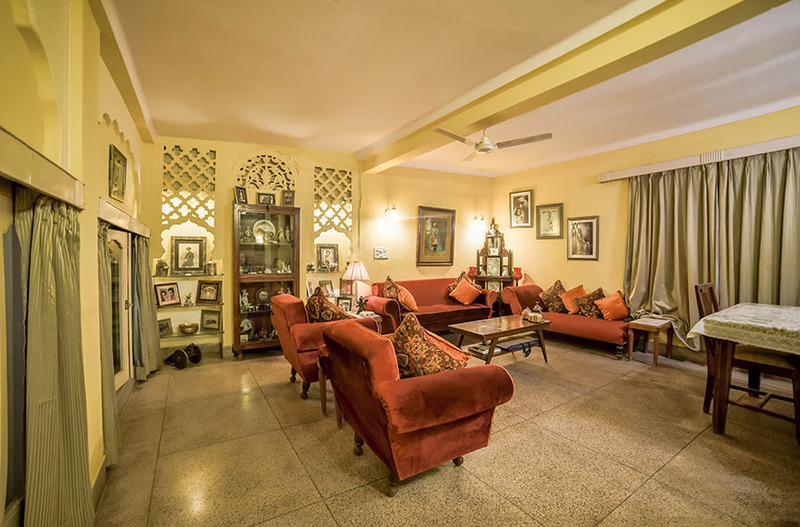 It was made between 1928 and 1943 under the reign of Maharaja Umaid Singh. 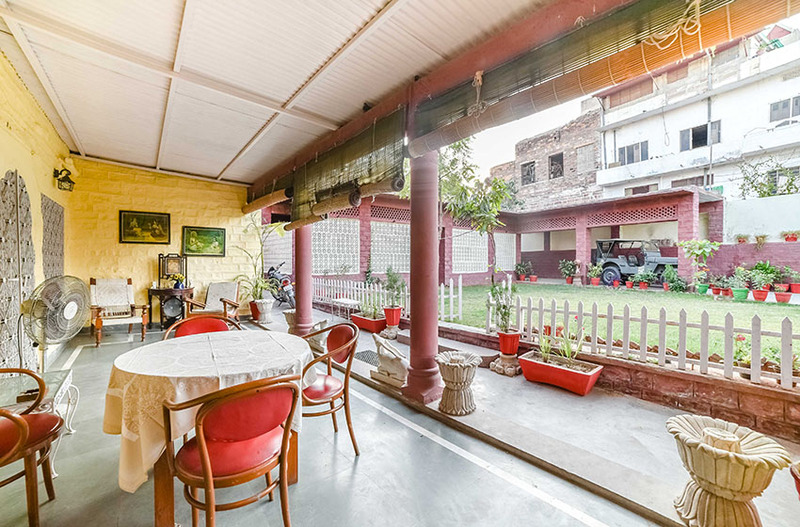 This Palace was designed by the renowned architecture. 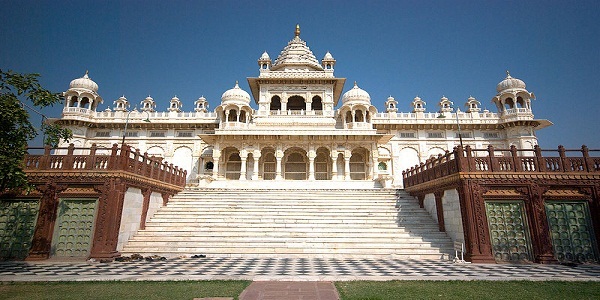 This white marbled architecture is a memorial site of a Rajput clan. This cenotaph was built in the 19th century by Maharaja Sardar Singh in the memory of his father, Maharaja Jaswant Singh II. 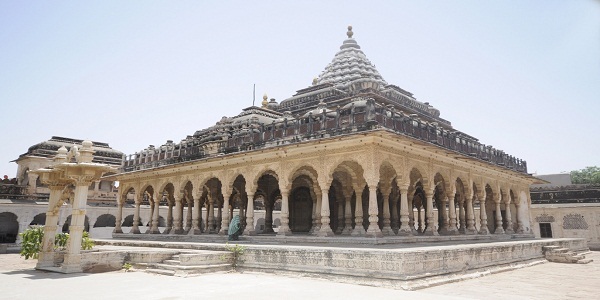 Mahamandir Temple built in 1812, this temple is supported by 84 pillars which are decorated with frescos and carvings depicting yogic postures, intricate motifs and other artwork within its premises. 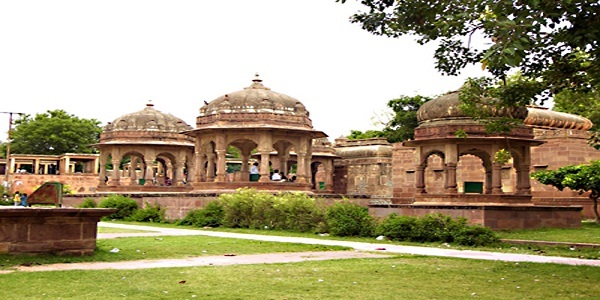 Mandore is a famous tourists attraction of Rajasthan. One can easily figure out the significance of the place from a mythological fact that demon king, Ravana, got married in the town.